Zambia has one of the highest rates of childhood stunting in the world. The 1,000 Days of Motherhood Maternal and Child Health initiative is playing a vital role in educating pregnant women and new mothers on nutrition and maternal and child heath. This audio series explains to mothers how to keep themselves and their babies healthy, in practical and affordable ways that respect local culture and tradition. We’re working with Zambia’s National Food and Nutrition Commission (NFNC) on the 1,000 Days programme to actively address under-nutrition, a leading cause of child death in Zambia. The NFNC have created the audio content called Bushes that Grow are the Future Forest, which was initially funded by USAID in Zambia. Translated into several local languages and in English, our solar and wind-up Lifeplayers support rural listening groups. These women, who are poor and often illiterate, live in rural farming communities and seldom have access to radio. Most don’t own cell phones themselves, however, the group may have a phone to share. Listening groups give women the opportunity to come together to listen to messages and stories that focus on maternal health and diet, breastfeeding, how best to feed their children, the importance of attending pre- and post-natal clinics, and a host of other health information. The scripts are created by local experts in their fields such as doctors, nutritionists and public health officials. Demand for the 1,000 Days initiative is growing. We continue to receive ongoing requests for additional Lifeplayers to support new listener groups. Some of the listening groups have become so large that they’ve split into smaller groups. Groups then share a Lifeplayer, which isn’t ideal as they may be miles apart. We have also seen an increasing number of fathers joining in, as they want to know more about the health and well-being of their families. While the women look forward to their weekly listening group meetings and the information they hear, they want to learn more. They’d like literacy programmes, help with how to create a business, and help on how to better care for their livestock. We have access to content they are wanting from our other partners in Zambia who can help them! 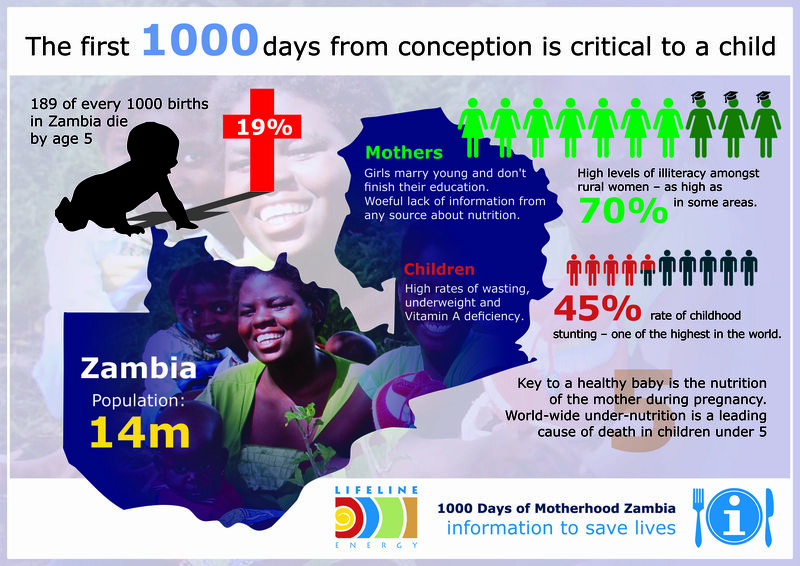 Read more about the impact our 1,000 Days of Motherhood programme is making in Zambia; and how you can make a difference to support this important and potentially life-saving initiative.